Grand Theft Terra Firma: A Game of Imperial Stickup, Abbotsford, British Columbia, the Reach Gallery Museum, 17 January – 7 May 2017. The exhibition is augmented by several public events, including a live theatrical performance developed by UFV theatre student Phay Gagnon (April 6, 8, and 9), a reconciliation and settler responsibility forum (April 22), a reconciliation workshop for educators (April 28), and a cultural leaders’ talking circle (April 29). 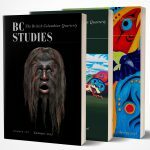 Artists David Campion and Sandra Shields team up once again to produce a pasquinade of British Columbia’s colonial history through the combination of vivid photos, witty text, contemporary graphics, and imaginative vignettes. Grand Theft Terra Firma: A Game of Imperial Stickup is one of four exhibitions on display at the Reach, sited on unceded Stó:lō territory. This predominantly photographic exhibition engages visitors in conversation about decolonization amidst the swell of anticipation for Canada’s upcoming 150th anniversary of Confederation – it is in this context that these exhibitions, taken together, become important disruptors of common discourse. This conceptually driven exhibition, developed in collaboration with Stó:lō community members, academics, actors, and artists, is a multi-layered narrative that challenges popularized mythologies of the country’s shared heritage. Campion and Shields are now long-time residents of the Stó:lō territory. They approach the dialogue surrounding Aboriginal and non-Aboriginal relationships, past and current, from a unique vantage point using a gaming metaphor as entry point. Approximately thirty-five images depicting various game characters with convincing backstories, historic objects, symbols, game stills and instructions for play line the perimeter walls, while three installation vignettes fill the centre of the gallery. The exhibition is, surprisingly, presented as a traditional and restrained art show, which is in sharp contrast to its otherwise humorous and unconventional theme. The images are framed with utilitarian hardware and mounted at eye level on the flat white walls that extend some 4.5 metres to the exposed ceiling. The austere, voluminous gallery with its generous circulation ratio is made to feel more intimate through low-level ambient lighting in combination with precisely placed spots, creating a dramatic, theatrical backdrop to the richly coloured photographs. The concept of free choice in a non-linear play environment is reinforced as one enters the gallery: its organization encourages visitors to meander in no particular order, which makes reading all of the text panels and extended guide necessary for orientation. Unusually quiet for the Family Day weekend, the space felt still and somewhat sombre, a place of contemplation rather than playful interaction. The muted and static nature of the exhibition seemed contrary to the inherent dynamism of the gameplay it aims to evoke. The three installation elements intersecting at the centre of the gallery are a colonial secretary’s writing desk with handwritten correspondence to London, an outhouse plastered with racist editorials from the British Colonist newspaper circa 1859, and a portrait studio with an idealized manor house and garden tableau waiting for subjects to be captured on film. These unassuming spaces, once sites for the production of imperial mythologies, stand as reminders of the subjectivity of the historical record and the ways in which popular narratives gained traction – and authority – as they were communicated over time. The concept of perspective is confronted in many clever ways. Near to life-size, the expressive images are positioned such that the subjects’ eyes often meet the audience’s, which is both intimate and unsettling. Whereas the image draws us near, the brilliance of the text keeps us close and engaged, establishing empathy through an affective visual narration. At a superficial level the mimesis of gameplay is bold, fresh, and darkly amusing, but at a deeper level a more complex story is revealed. In the image Moving Mary Jane, a settler is happily building a fence in the forest as a distressed First Nations man and woman cradling a baby flee the scene under the disapproving gaze of a colonial agent. The extended guide retells elder Susan Lewis’s story about her grandmother who was forced to move from her farm in the 1870s because settlers wanted the land for themselves. The artists’ portrayals of the game’s protagonists, in this case “the Settler” in traditional garb, reinforces a sense that they are fictional, archetypical characters of the past. The antagonists, the First Nations couple, are dressed in contemporary clothes, suggesting that they are neither fictional nor of the past. This juxtaposition blurs the boundaries of the game and reality, the past and the present, and exposes injustices of the early colonial period and those still endured today. While the nature of this exhibition does not offer the dynamics of actual gameplay – wherein audience participation is abstracted and hypothetical – we are invited into the game in other ways. The empty photo booth begs for a selfie or an enthusiastic group photo, ironically positioning us as one of the characters. Are the members of the audience would-be avatars? Is the visitor complicit in this game of stickup? Or are we asked to chose a new path and become an entirely reformed kind of character who might write a better ending to the story? These are important questions for a nation interested in seeking reconciliation with First Peoples. The genius of the interpretive text, which provides context and dimension, is sadly missed if the visitor is not inclined to read its entirety. While the full impact of the exhibition is best realized if one is familiar with Grand Theft Auto and knowledgeable about contested colonial histories, the bold, quirky visuals alone are a testament to unconventional and collaborative storytelling. Intense, compelling, and entirely topical, this innovative exhibition is well worth a trip to Abbotsford.